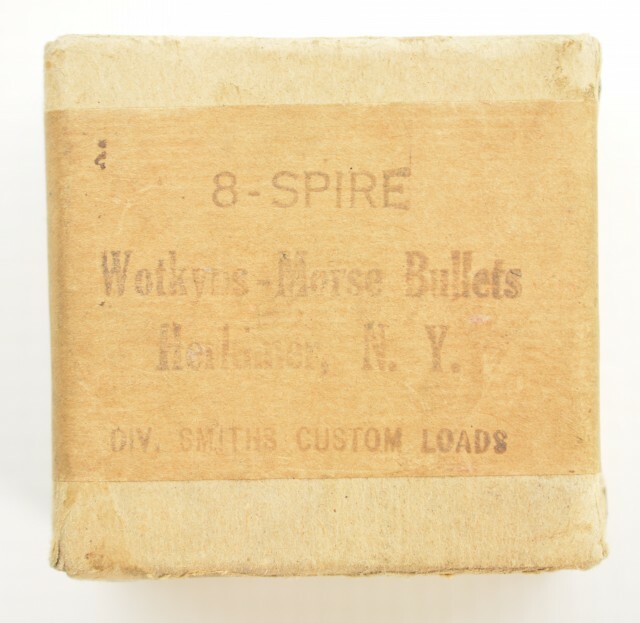 Description: This full box is marked "8-Spire Wotkyns-Morse bullets, Herkimer, N.Y. Div Smiths Custom loads" on top. 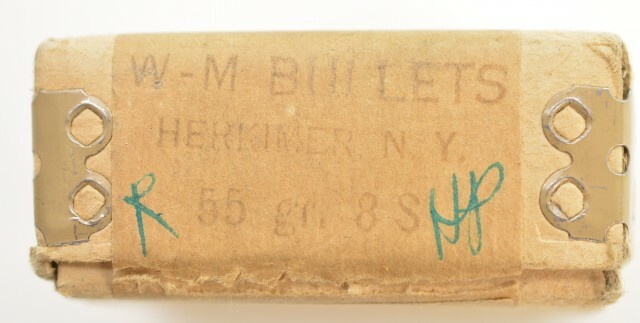 Sides note 55 GR 85 with "R" and "HP" added in green ink. These handmade custom bullets were quite popular from the 1930's to late 1950's. This company was similar to 515K and speer, making bullets in hand presses one at a time. 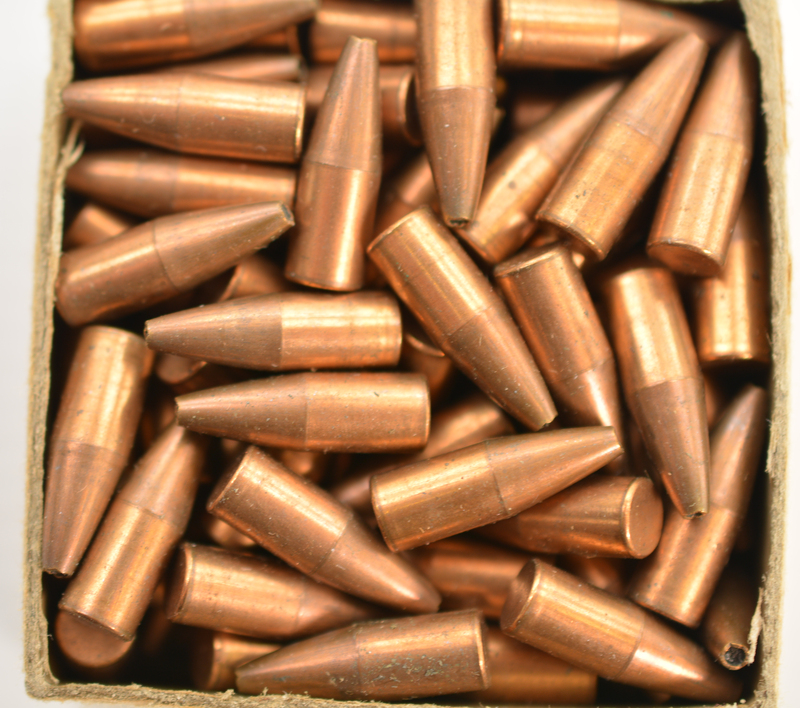 These bullets were mentioned by popular writers and wildcatters of this period. An interesting display box.